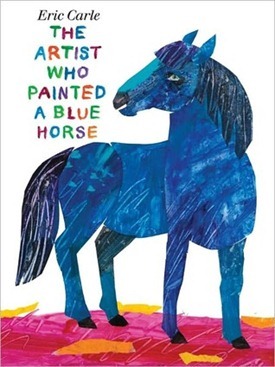 Summary: The Artist Who Painted a Blue Horse shows young readers that in art, there is no wrong color. There's a green lion , an orange elephant, a red crocodile and a polka-dotted donkey. More than anything, there's abundant imagination. 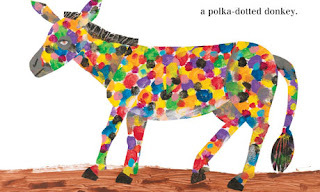 Ask children to think of a small animal and a large animal. 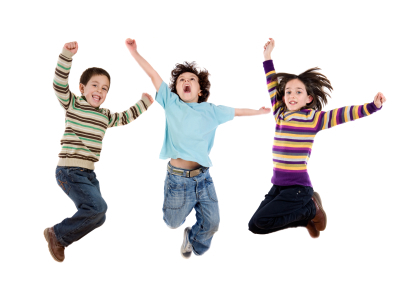 Divide the class into two groups. Have one group be the small animals and the other the large animals. When you play music with high notes, have the small animals move and dance. When you play low notes, have the large animals move and dance.